Beware of companies advertising seemingly "cheaper" prices, they often have hidden additional charges for services that we include as standard in our pricing structure. Always make sure that you are comparing like for like services when comparing prices. As the majority of our customers are business users, all prices shown are exclusive of VAT to enable easier price comparisons with other service providers. For the benefit of any personal customers, we have also detailed the VAT inclusive prices below. All prices shown are in pounds sterling (£ GBP). If you pay using a foreign currency credit card you will be billed by your card company in your local currency at the currency conversion rate applied by them, not us. Our domain registration and renewal prices are inclusive of all domain name registry fees. The table below shows the yearly registration fee payable for each type of domain extension. All domain registration fees are payable in advance at the time of registration or renewal. Domain renewals will be charged at the same rate as the current registration fee on the date the renewal fee is paid. Remember, once you have registered a domain it is yours to keep for as long as you continue to renew it. Our web hosting plans are available for an annual fee which is payable each year in advance. There are no additional set-up fees. Please note that additional fees may become payable if the monthly Data Transfer limit associated with the web hosting plan is exceeded - See below. Web hosting plans are renewable annually at the fee current on the date of renewal. When transferring a .biz, .com, .info, .net or .org domain an additional years registration fee (see prices above) will be payable. The registration period for the domain being transferred will be automatically extended for a further year, or less if it would take the domain registration beyond the maximum registration period of 10 years, as part of the transfer process. No charge is payable to us in the event that you wish to transfer your domain(s) to another ISP or web hosting company providing your web hosting account has not already expired. In the event that your web hosting account has already expired there will be a one-off administation charge of £5.00 (£5.75 incl. 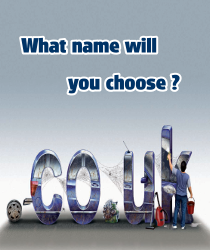 VAT) to make any change to the name servers or IPS Tag on your domain or to authorise a registry transfer. Less than 0.5% of our customers ever exceeded their monthly limit, but in the unlikely event that you do, a surcharge of £15.00 (£17.25 incl. VAT) for each additional 1GB or part of that exceeds the limit will be payable. Any surcharge due will be notified via email and your account will be suspended until the payment is made. The data transfer on your account can be monitored via the control panel. Please contact us if you require any further information regarding our pricing.